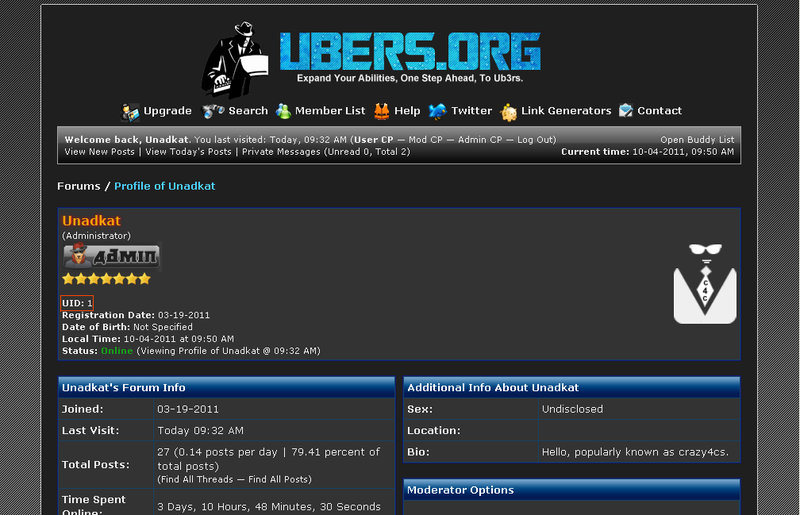 Allows you to display user id of each user in their profiles, useful when using Google SEO to show user's uid. Description: Allows you to display user id of each user in their profiles, useful when using Google SEO to show user's uid. UPDATE - v1.1 - This plugin now runs NO QUERY but just template edits. So you can use it without worrying about adding extra query to your forum. 2. Upload uidpf.php inside the inc/plugins/ folder which we just extracted now to (root)./inc/plugins directory of your website's server. 3. Go to ACP > Plugins and find User id in profile setting and activate it. I can be reached via my website http://www.mybb-world.com/ or MyBB Community Forums.